Hyperconverged infrastructure is becoming a popular architecture choice, particularly for businesses consolidating infrastructure as part of a hybrid IT strategy to extend compute and storage resources outside the enterprise. At its current level of progress, HCI could soon become a foundation layer for the next generation of infrastructure at enterprises, midsized companies and remote deployments. Hybrid cloud is the next frontier for HCI, with most players looking to develop cloud orchestration and workload-migration capabilities to become hybrid cloud enablers for enterprises and service providers. 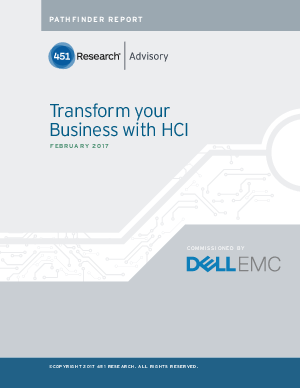 This report will provide data and analysis to provide perspective on how the HCI market could be evolving, and to better understand the key requirements enterprise IT administrators should consider as they begin their initial deployments or expand their current HCI deployments to new workloads or locations.